The first on the right as you enter Hahei - you can't miss The Church. 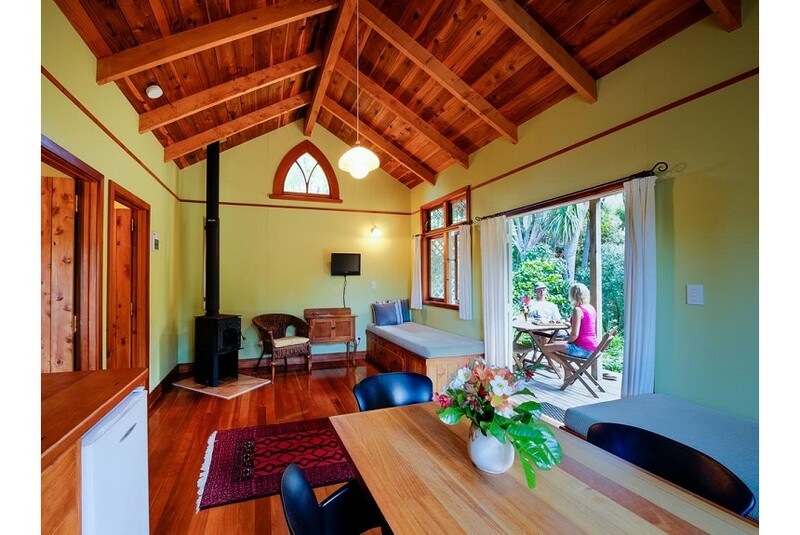 The accommodation complex is nestled in 1.5 acres of native bush and gardens with all cottages landscaped for their individual peace and privacy with a range of unique self-catering accommodation options. Onsite a reconstructed 1916 Methodist Church is an independently run restaurant offering our guests to Hahei an unique and tasty dining experience, just a stroll from your cottage.